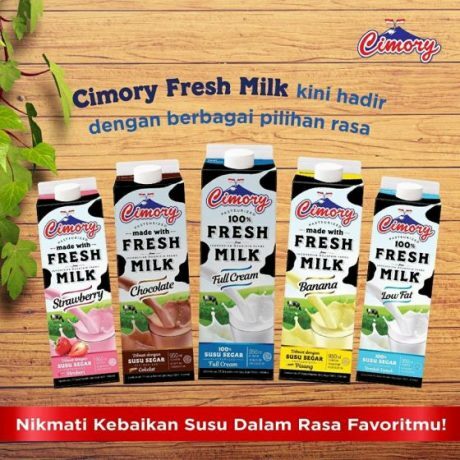 Indonesia’s Macro Group (Cimory) has unveiled a brand new look for its Cimory fresh milk in November 2017. The range contains five variants comprising two 100% fresh milk (full cream and low fat) and three flavoured milk (chocolate, strawberry and banana). 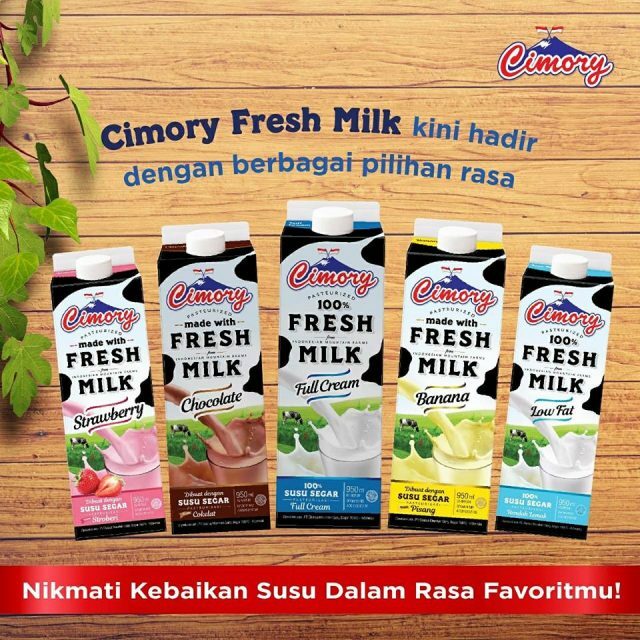 Below is how the Cimory fresh milk looks like in the past. On the new packaging, the word “fresh milk” is bold and black to make it more visible and to emphasis the freshness of the milk. Unlike the previous packaging where the background image focuses more for children, the newest design stresses the clean and green image with dairy cows grazing freely on the green pasture. The new design also features the dairy cow’s black and white spotted body. On each black spot, there is a product description to communicate the product’s goodness to consumers. 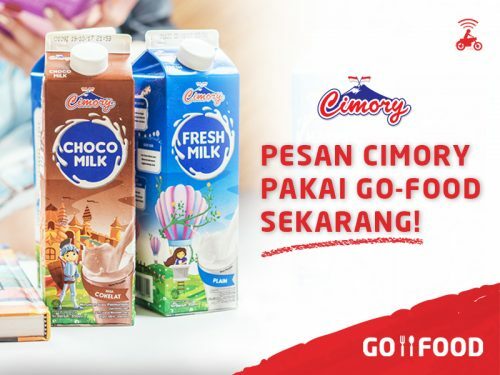 Cimory is proud that is dairy farms and milk processing facilities are the closest to Jakarta. That is the reason why the company says its milk is extra fresh. As a comparison, the dairy farms of Greenfields are located on the foothill of Kawi Mountain, Malang and in Bilitar in west Java, quite a distance to Jakarta. Apart from the milk processing plant in Sentul, south of Jakarta, Cimory has another facility in Semarang, the largest city in central Java. The Semarang plant also serves as a tourist spot with restaurant, shop and leisure facilities. According to an article by SWA in September 2017, the company is in the process of building its third milk processing plant in east Java to complete the coverage of the whole of Java island. 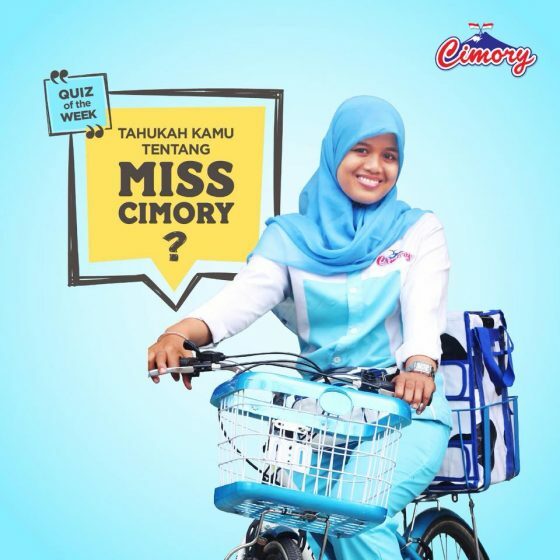 Cimory also has the home delivery business model, which is aptly named as Miss Cimory. Founded in 2012, the program empowers mothers with a business to earn additional income to support their family by selling Cimory fresh milk and Cimory yogurt drink. At the moment, Miss Cimory covers West Jakarta, South Jakarta, East Jakarta, Depok, Bogor, Bandung and Cimahi, is a city located west of Bandung in West Java. * All images from Cimory except for the map from Google Map. 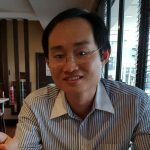 Jinmailang Gold Walnut – Tuhao?